Rick's Pocono Blog: Rent a Pocono Lakefront This Spring/Summer! Rent a Pocono Lakefront This Spring/Summer! Camelot Forest - A Small Conservation Community that offers 2 Lakes and Tennis Courts with a nice Sandy Beach. Camelot Forest is great in location as well being only 5 miles from Big Boulder/ Jack Frost Resorts, and Split Rock Resort and H20 the indoor Waterpark! 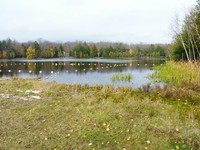 This Community backs right up to Pocono Lake Preserve, and offers an average size parcel between a half to a full acre. 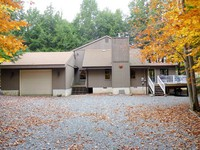 A Perfect Pocono Lakefront Rental for the Summer! Nonstop Northeast Entertainment This Summer! A Perfect Rental in Big Boulder! Rockin N Rollin in Jim Thorpe Pa! Music Festivities in Stroudsburg Pa! Holiday Specials at Pocono Resorts! A Hot Summer For Entertainment in the Northeast! Upcoming Music Acts in the Northeast! The Victorian Inspired Corner Lot Home! Summer Plunge Memorial Day Weekend in Arrowhead! A Picture is Truly Worth a 1000 Words! A Fine Wine Festival at Split Rock Resort! The Pocono Mountain Log Home Beauty! 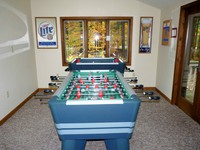 4 Season Locust Lake Rental! A Pocono Family Owned Resort! A Chalet Beauty for Rent in Split Rock! A Few Homes For Lakefront Living! A Lakefront Beauty in Arrowhead Lakes! A Brier Crest Beauty. Rent It This Summer! Golf For Charity at Skytop Lodge! Beautiful Home For Rent In Locust Lake! A Beautiful Home To Rent In Lake Harmony! Entertainment Storming Through The Poconos! A Split Rock Summer Time Beauty! Splash Into The Waterparks of the Poconos! Arrowhead Lakes Bake Sale and More! The Great Outdoors in the Poconos! Fresh Cut Grass & Pocono Mountain Golf Resorts! Wide Open Rental in Arrowhead Lakes! Unwind at a Pocono Resort Favorite! Build a Pocono Memory at Big Bass Lake! A Warrior Dash 2012 in the Poconos! Pocono Homes For The Hunters! A Few of the Many Pocono Resorts & Parks! A Pocono State Park Trail Run! Lehigh River Adventure in Jim Thorpe! See The Beauty of Bushkill Falls This Summer! Enjoy a Romantic Getaway in the Poconos! The Luxurious Casino Resort in the Poconos! Come to Skytop Lodge in the Poconos! A Pocono Festival For Nascar Fans! Show Your Irish Pride in the Poconos! Celebrate America in the Pocono Mountains!